Oh - lovely spring colors coming your way! Take the chance to participate in the May Designers Challenge at Allt om Scrap. 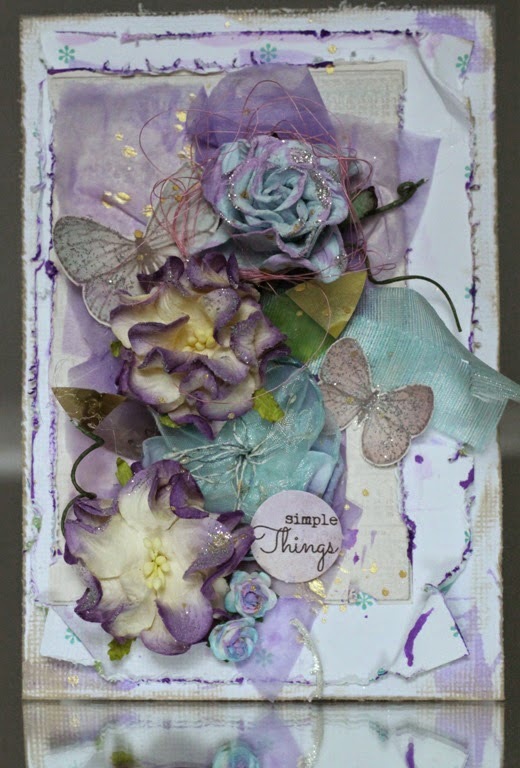 This card was made for the ScrapPlezier blogg and suits so well with this challenge as well! I made this sweet card by scraps of papers, flowers from Prima, butterflies from Pion Design and the die-cut sentence from 7 Dots Studio. Ink from Ayeeda/13@rts.